Only the residents of Shortland and Grahamstown (Thames), could really comprehend the reality of life on a goldfield. The uniqueness of having mines literally on one's residential doorstep. The noise...the pollution...long work hours, all must have been a challenge. It is interesting to consider this in context with the idealistic photographs and paintings that appeared and circulated around the world. 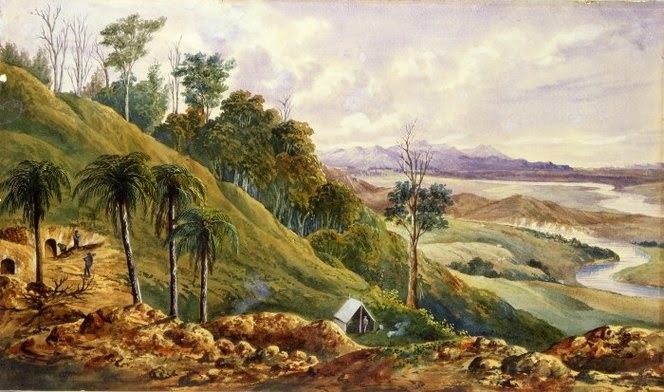 The painting above, is by Walter Boodle of the Moanatai[a]ri Creek c1880. Labelled on the back of the painting held at the Auckland Art Gallery: March 3rd 1880. "Moanatairi Creek on the Thames Goldfield, New Zealand. The view suggests that miners meander to their diggings along a fairly decent track. The reality below, can be seen in the view up the Moanataiari Valley. The land cleared to allow for the prolific mining that was taking place on any vacant land. Many of you, will have ancestors that lived in these conditions. Not just single men, but families who raised children amongst the mining activities. 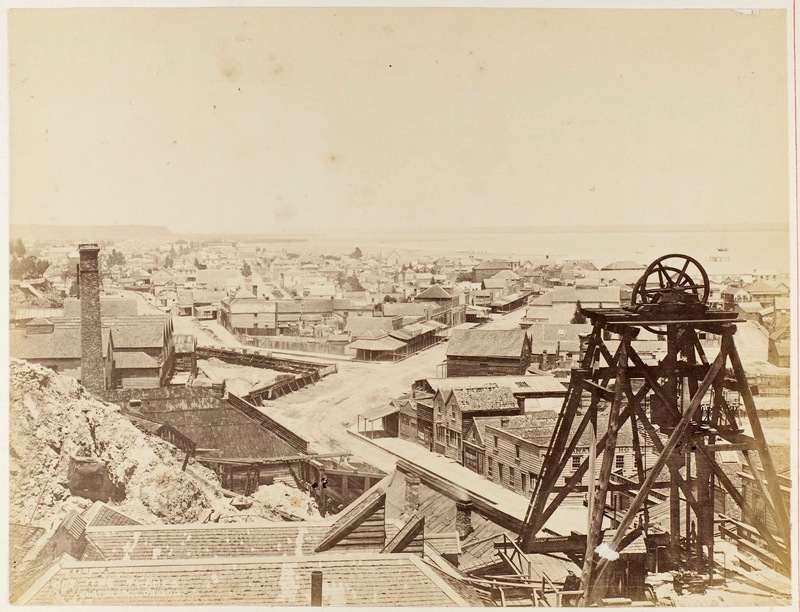 When the mining settlers arrived on the Thames goldfields, they certainly must have been in awe of the beautiful landscape - but many of these areas were quickly attacked in the search for the illusive GOLD. The painting below is by John Hoyte (1835-1913). It is of the Kopu area south of Thames. The description reads: 1868...Shows the tunnel entrances to a gold mine on the left, with three miners outside, one carrying a shovel. 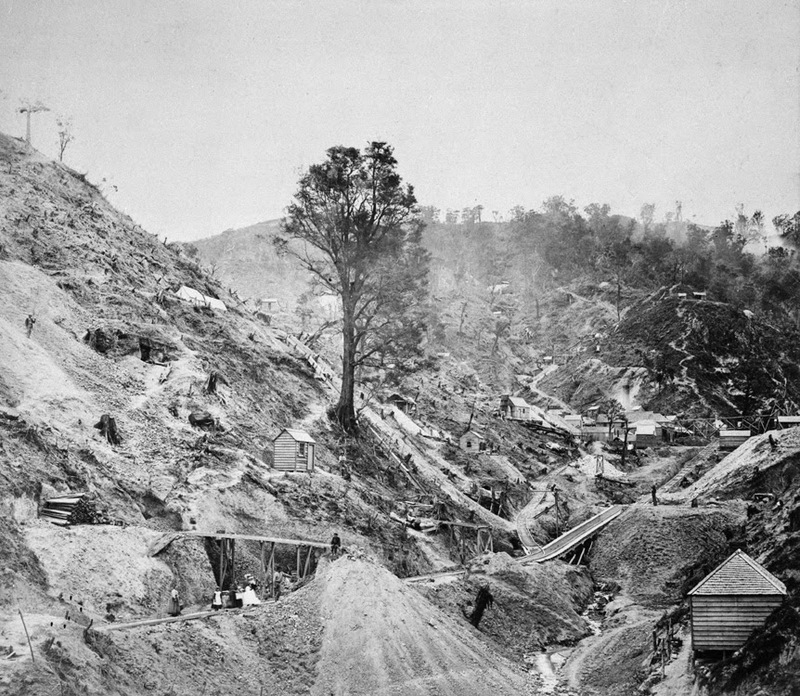 Tree ferns and the smoke from a fire, then a goldminers' tent with two men and a small fire, centre foreground. Hills and a plain with the Waihou and Piako rivers in the distance. Death notices for: Louisa Dufty of Parawai and George Ripley of Waihi. Mr A Williams of Kopu was organising a patriotic concert for Thursday 27 August in the Kopu Hall. The weather was cloudy, with the barometer falling. Seas rough and tides high! The Thames Star's War news displayed outside the office had been destroyed overnight. The paper had taken to displaying the latest war news over the weekend to keep the town informed. Someone had deliberately torn down and destroyed the last night's news. Mr Vivian of Mt Pleasant had Cauliflower, Cabbage and onion plants forsale. 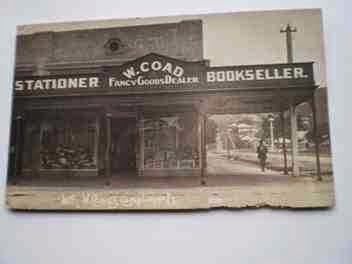 Coad's had a number of items listed to tempt the customer, in their Bookshop at the corner of Pollen and Sealey Streets. Mechanical toys and mechano were proving popular. Hardware merchant Jas RENSHAW was reminding people that this was the time to spray for woolly aphis and scale. Additional supplies of coal from the Westport mines, were urgently needed to meet the increasing imperial needs for the war effort. 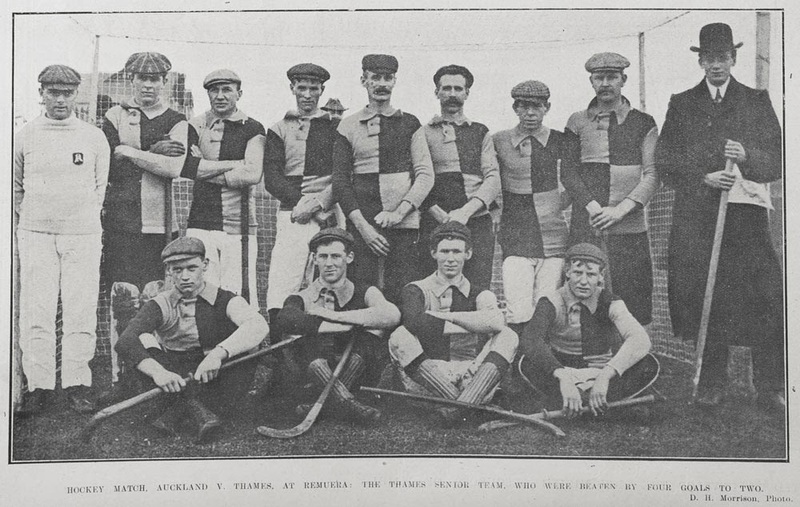 1907 Thames Hockey Team, who had played Auckland at Remuera in September 1907. Score: Thames 2 Auckland 4. Are you a member of The Coromandel Heritage Trust? Or would like to be in the future? The Annual general Meeting is on Sunday, 31 August at 2pm at The Treasury, Thames. Go and find out what has happened over the past year, who is on the committee, who the trustees are. Help decide on the membership fees for the following year. This is your chance to have your say on how things are managed at The Treasury. Checkout the new permanent page, located in right-hand menu bar. A work in progress of Thames Schools - designed to give an overview with suggestions where to go next for further information. 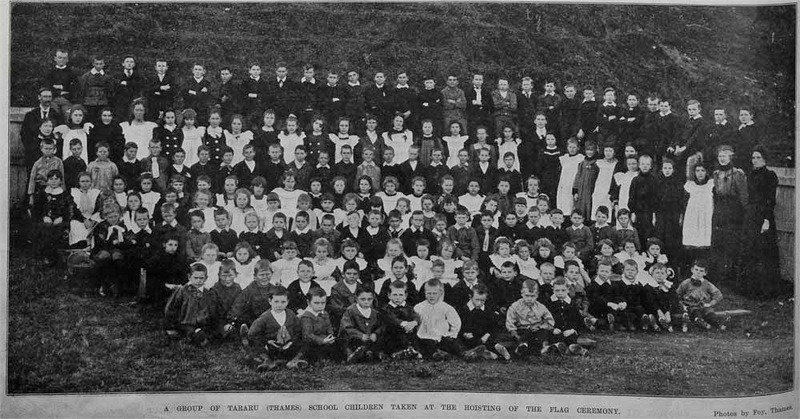 A GROUP OF TARARU (THAMES) SCHOOL CHILDREN TAKEN AT THE HOISTING OF THE FLAG CEREMONY. There are so many good quality digital images appearing at online websites and available from places such as The Treasury at Thames. 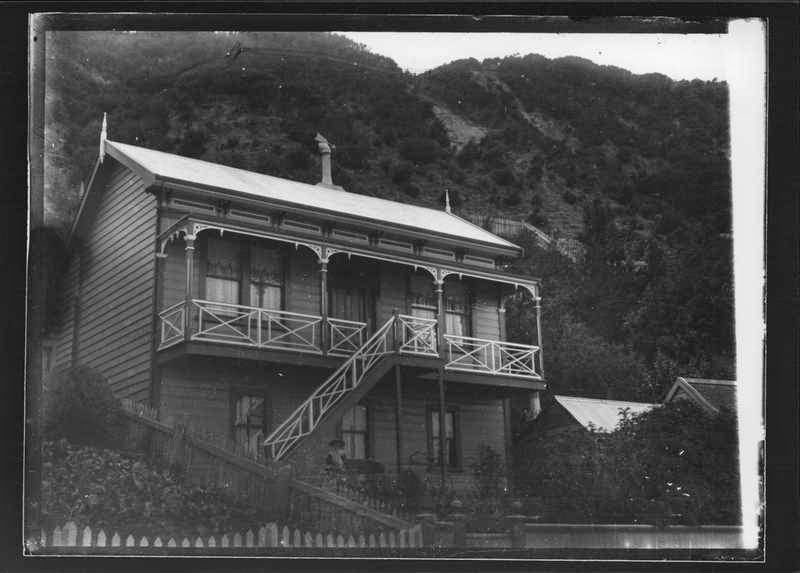 The photo below is at Auckland Museum Library, and queries whether this house is at Thames or not? Estimated as being taken in the early 1900s. The photo below is of a house on Tararu Road, south of the shop. The house appears a match for the early photograph and is relatively unchanged from 100 years ago. Amazing news that you can now easily download high resolution photos from Te Papa. Thanks to this, you can now see the RISING SUN HOTEL, that was on the corner of Golden Crown Street and Haven Street. Directly opposite the MOANATAIARI HOTEL. 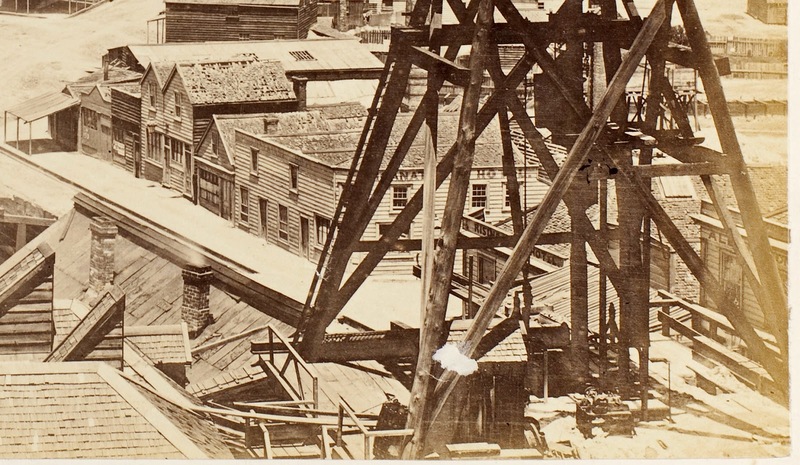 Look through the mining structure in the front and you will see written on the top of the building, the Rising Sun Hotel. Margaret Peckham is the last listed publican at the hotel in 1875. Top: The View south along Golden Crown Street. Lower: the Golden Crown Street running into Owen Street. The full photo directly above, shows just how busy this northern section of Grahamstown was. One can see how quickly many of these buildings were built, as already many are in a very bad state of repair. The buildings south of the Hotels have large sections of roof missing in many instances. Boom to bust, many are obviously already deserted. At The Treasury, Thames - see Hotel Register and Hotel Licenses. Search the Index online. The Auckland University College Roll of Honour contains information about five women and 715 men from the University who served in the First World War. It was compiled by the Auckland University College Students' Association and the College between about 1915 and 1920. Made up of three leather-bound ring-binders, the Roll of Honour was donated to the Library during the Second World War on 20 June 1941. It is housed in Special Collections as MSS & Archives E-2. Examples of pages above. One is for R Alley who attended Thames High School and for George Stevenson Bagnall of Turua. Well worth a look and search for family names. A new page on The Treasury website, gives details on the soldiers from the Hauraki district who were part of the Pioneer/Maori Battalion in WWI. It is just a start in the quest to gather and record names - any further names would be appreciated. NATIVE VETERANS BACK FROM THE WAR: MEMBERS OF THE MAORI BATTALION AT AUCKLAND DOMAIN. WHERE THEY RECEIVED AN ENTHUSIASTIC WELCOME. 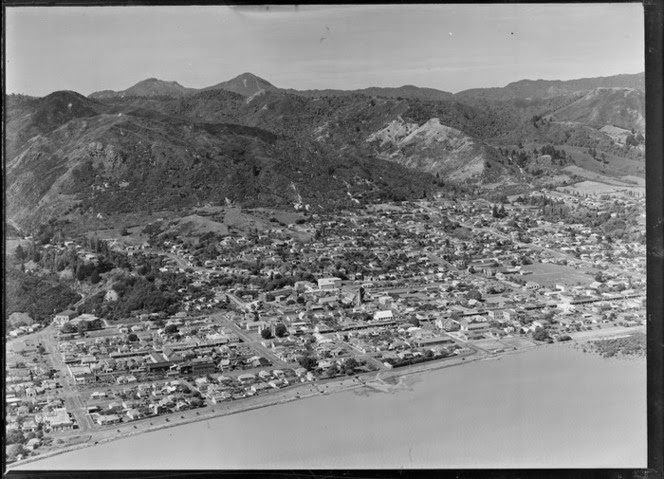 A new link has been added today, for a highly informative blog featuring many articles related to the Coromandel Peninsula. Part of the Past NZ History Blog by Anne, covers New Zealand history, including the Coromandel Peninsula. The latest post is on the Queen of Beauty Mine in Thames. There is an earlier post on the Thames Waikato Railway. If anyone knows of any other blogs or similar related to the greater Thames area, please let me know. Just a reminder regarding the start of the Thames WWI Commemorations Monday 4 August at The Treasury, Thames. Details in previous blog entry. All Welcome.